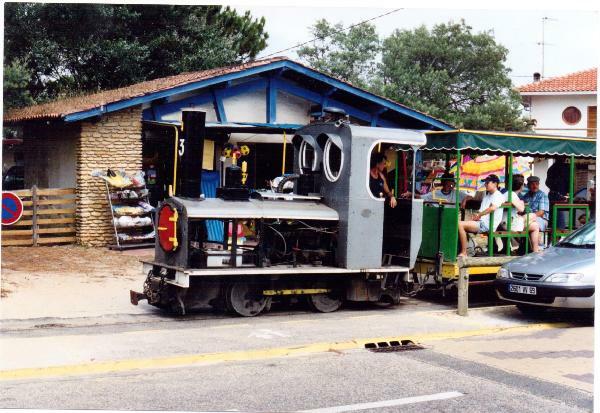 For all narrow gauge fans, and particularly those who model French metre gauge........a view of Neuvic station on the Correze Tramways. I may add more favourites here from time to time, but please feel free to add your own views of places that might inspire a layout or a model. My favourite from the Correze website...pity one cannot copy the photos direct? That tractor would be a good modelling subject (on Muston Sands, perhaps, Bob?) but would need a "pusher" carriage, I suspect. In the second picture the nearest wagon shows how they loaded and secured the timber - something to copy in model form that would be a little bit different. I am currently doing some research on the metre gauge lines around Carcassonne. I bought a book on the lines(mainly postcard photos) at RAMMA last year, and I was curious as I have driven round the area. Most of the lines disappeared in the 30s so not many photos, but did find a website, and I think there is a book planned. I might even build a small layout/diorama based on one of the lines , as most of the locos were Corpet 060s , and I suspect much of the rolling stock was standard metre gauge, possibly moving onto other lines. In itself not as interesting to look at as some other lines, but as the closed so early, and ran in mainly flatter countryside would be a bit different. Great website, Simon. 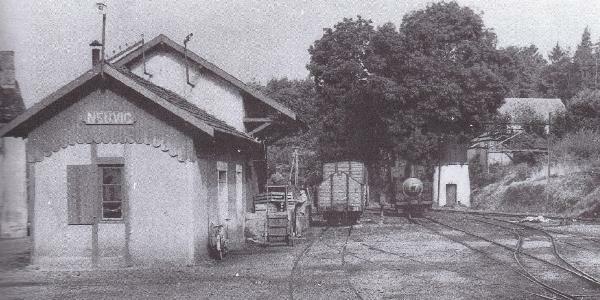 Belpech is an interesting terminus, as drawn; no run-round facility and with the loco shed access at the blind end of the station yard. You'd have thought the two turntables might have been connected, or else there was a release cross-over that's been omitted from the plan. It does seem an odd arrangement, Giles. If basing a model on it, I'd be more inclined to replace the two turntables with a single one, serving all the tracks; that would surely be easier to operate? Thanks for flagging up this website, Simon, very interesting! my interest was the line that goes north from Carcassonne and curves eastwards and down to Olonzac. Unfortunately I have not found any plans, but hope the proposed book has more info. Any favourites from anywhere else? This doesn't have to be an exclusively French thread. Here's one from Turkey - the last time I saw revenue earning steam at work. Very difficult to model, other than as a static exhibit, but full of character. 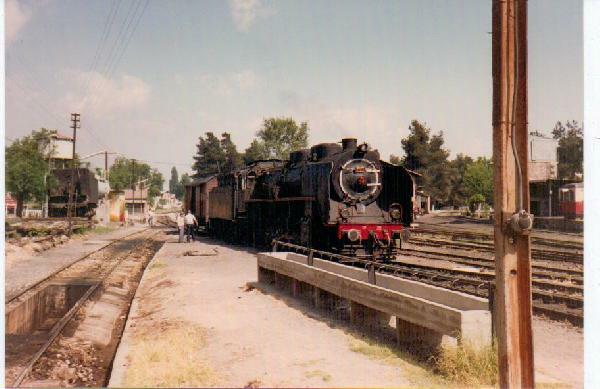 Use the left hand arrow to scroll for two more pictures of the same railtour. That has to be one of the more poignant reasons for closing a railway - the horse died. its easier to model a working tractor than a horse. Wonder if anyone has tried using the Faller road system, as they have a tractor in range. Otherwise it might be possible to fit a very small working chassis in tractor(or in a wagon) . Its not impossible, just a challenge. 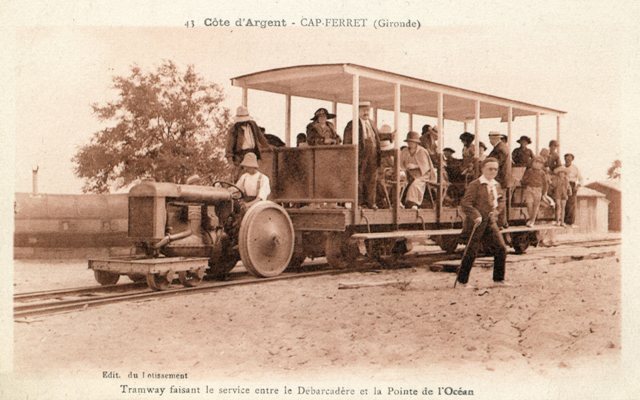 The photo above shows a 3ft 6in gauge railway(1in in O scale), so smaller narrow gauge would easily fit between wheels. I have a few motorised wagons (in On18 and Gn15). It would be difficult to have a powered wagon propelling a tractor on Warley Fen, because the layout is terminus to fiddleyard, but Muston Sands would be a good layout to try it on. Straight track through from fiddleyard to fiddleyard so no shunting (or steering) required. 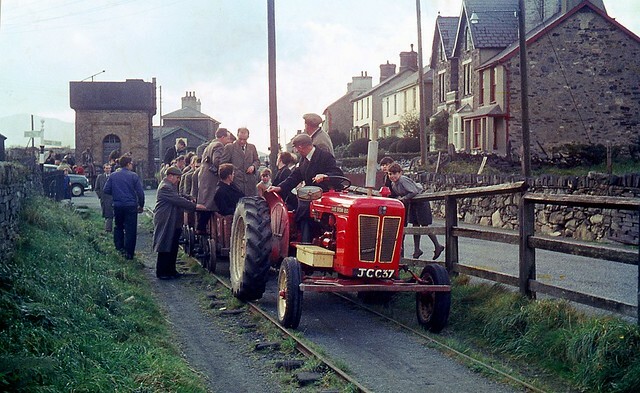 The towing chain would have to be solid so that it acted as a drawbar to push the tractor ahead of the train but I'm pretty certain it could be done. would probably need some 'guides' fitted out of sight on tractor Maybe half a wagon, with railway wheels hidden by tractor wheels. If the tractor wheels touch ground then they will revolve.